Ah, Mr. Bennett! This little man was 11 days new when he came to visit me for his Akron Ohio Newborn Photography session and oh my goodness, was I excited to meet him! These little grey pants from Baby Bliss Props go perfectly with the blue, grey, and white mom requested for his session! This bed from The Original Photoblock Props is one of my favorites! It’s the perfect size! I also love this outfit and pillow by Lemon and Pearl Design. Such a sweet, simple set! 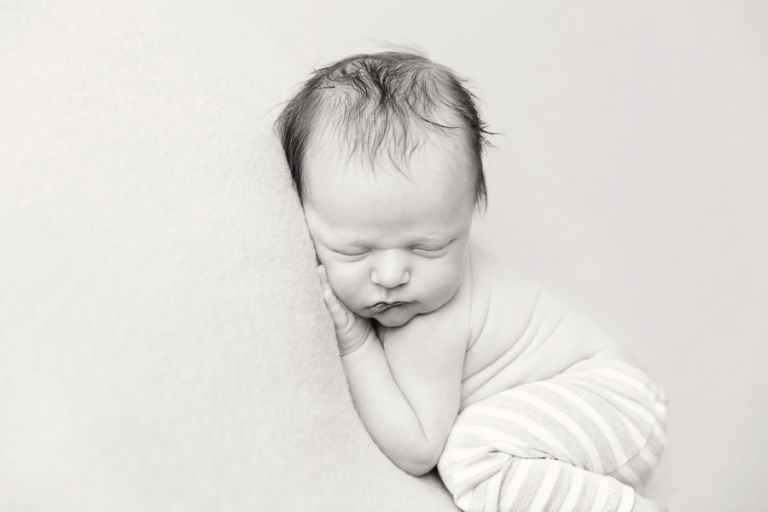 Looking for Akron Ohio Newborn Photography? 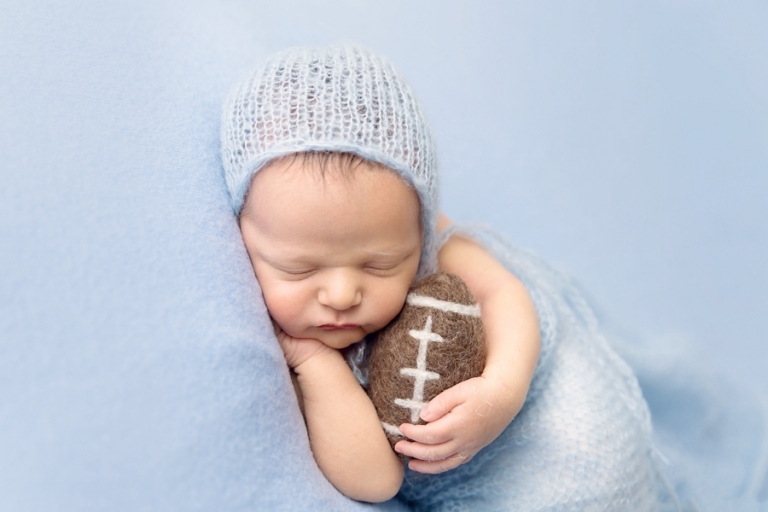 Please visit the newborn session information page! Mary Christine Photography is an Akron newborn photographer that specializes in baby’s first year. Please take a moment to browse the website to learn more about the services offered. 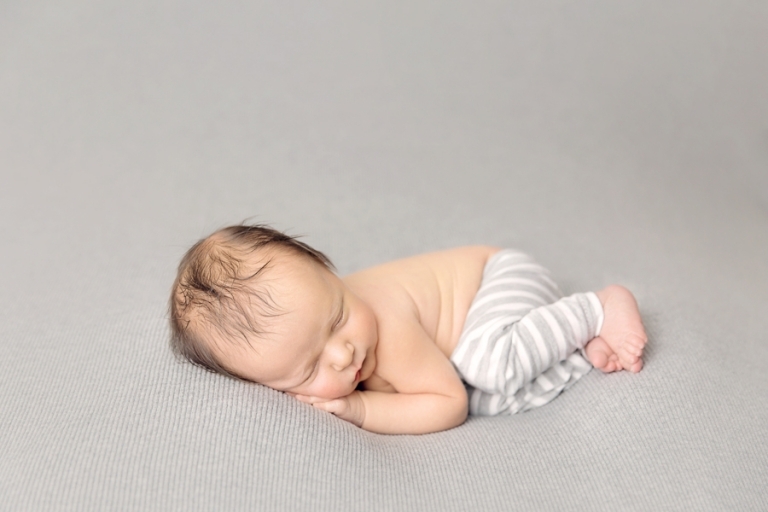 Newborn sessions are typically done between 6-14 days of life for the best chance of capturing those sweet sleeping poses.